Registration now open and warming up for the Spring! 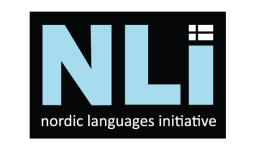 This term we are offering Swedish I and II, Norwegian I, Danish I and Finnish III with our amazing instructors, Pehr, Aleks, Philip and Susan. They are ready to teach you about Swedish lagom, Norwegian fjords, Danish bike paths, and Finnish Pulla in our Spring/Summer session beginning in April/May. Be a part of it! Previous:Announcing Our New Danish Instructor! Next:Revving up for Fall 2018 … Registration is NOW OPEN!